in the field with a rather intuitive than formal approach. It always keeps the nonexpert reader in mind, making even unavoidable complex theoretical concepts readily accessible. All commonly used methods are covered. Ulrich Kubitscheck is the department head of Biophysical Chemistry at the Institute of Physical and Theoretical Chemistry at the Rheinische Friedrich-Wilhelms-Universitat in Bonn, Germany. Having obtained his academic degrees from the University of Bremen, he spent his career working at The Weizmann Institute of Science and the Institute of Medical Physics and Biophysics of the Westfalische Wilhelms-Universitat Munster before taking up his present appointment at Bonn University. 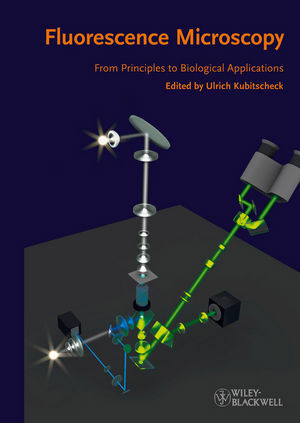 Professor Kubitscheck develops single molecule imaging techniques, has authored over 60 scientific publications and has extensive experience in teaching courses on physical chemistry, biophysics and quantitative microscopy.